There is a negative sentiment regarding link directories. Collecting relevant links is like content curation. You're not only hunting for relevant links for the subject your are working on, you also have to add these links to the corresponding page of the link directory. There are more pages about broken link checkers. For example I missed the still famous broken link checker Xenu's Link Sleuth. However Google indicates that there are more than 1 billion pages found. That is a little bit to much to add to a link directory. So you have to curate which broken link checker, or better said which webpages related to broken link checker, should be listed. That makes a huge difference. 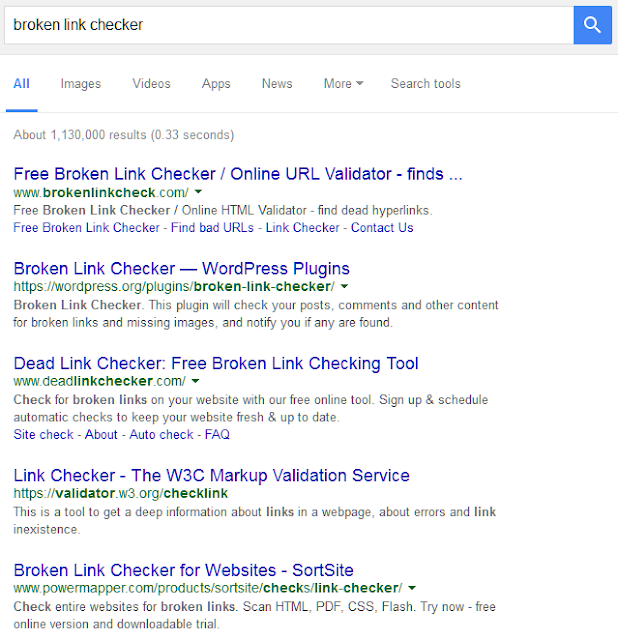 Do you want to add broken link checkers which checks only one page? Do you want to add online broken link checkers which need a captcha? Do you add all broken link checkers you find or do you select only the best working link checkers? Based on your decisions you will have a list of relevant websites related related to broken link checkers. The latest step in the process is adding the link to the directory. This should be as easy as possible for the curator. I don't know how other directories work, but at an average I'm able to add a link per minute. So creating a list of 15 links takes me roughly a quarter of an hour. Believe me, creating a relevant list of broken link checkers takes hours instead of seconds. The second reason why creating a link directory is hard is the negative sentiment regarding link directories. For years there had been a negative sentiment regarding link directories. Deservedly because there are a lot of low quality link directories. Lots of people bought a PHP script and create a link directory for ABC link exchanges to get high position in the search engines. Even worse, they link unrelated, so links regarding completely different subjects where at one page. This makes the pages completely useless for normal users. No wonder that Google stated in 2012 that they will reward high-quality sites with a algorithm now known as Pinguin. As a result a lot of marketeers and search optimalisation specialists started to think that almost all link directories are a no go area. As Search Engine Watch wrote in 2013, probably the best think you can do is use your common sense. When you look at a directory (or any other link source for that matter) you have to ask yourself, “does it make sense that this link should pass weight to my site?” If you can honestly say “yes” to this then it’s likely a good link.